I'm still here... And still disappointed with my character. Except Rona she's cool. Well with 4 RPers I'd be happy to continue the story. Failing that I've got another idea called Hail to the King if you'd like another idea similar to this one. 1st Gen is very timid, yet quite helpful when asked to do certain task or asked for help. She isn't in combat form so don't bother sending her to the front lines at this moment as she is mostly for support. 3rd Gen form is very open, aggressive towards threats and logical when it comes too her own kind/realm. After living for 6.4 billion years she will tap into the knowledge of her people freely and used that too resolve issues, or create new ones. Bio: Tahki Rose is known to her people as an Ancient Elemental, creatures who rely on the energies of the universe, as their bodies are also composed of energy rather than organs and flesh. Her species or more like her generation no longer exist as her race had evolved from the first generation and are now currently in the second. Tahki was isolated, hidden away from the rest as she possessed a unique trait among her people which is the ability to see into the future for 5 seconds. Due to this strange phenomenon, it is said that she is also the mother of the Time Elemental's who have banished themselves from the realm to prevent damage in case of their capture. During her life she has been appointed guardian of the shrouded world of the Elementals, a place of their creator, where all has began o' so long ago. Her 3rd eye was a mistake, something never seen before on other elemental's, her creator was perplexed by this and decided to study her yet found no indication of any changes that might influence such. In thee end Tahki was held there, not against her will but rather by her own request. Tahki wanted to better her knowledge of her people, and who better to learn from other than your creator? So she learned, and learned more, even learned about Moon and her heroism journey too save the Elemental race, she eventually learned to fight, though not too well... as she lacked all the combat abilities that most elemental's had at the time. 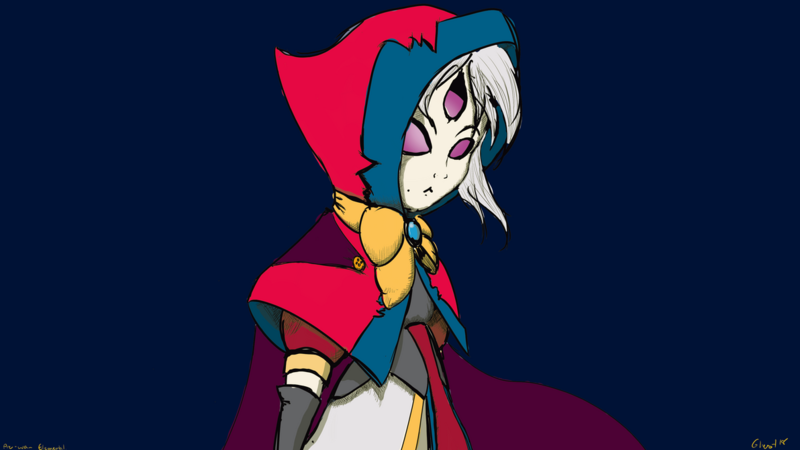 Her powers grew and so did her strength as she got older, she felt that it was only a matter of time before she became Moon's equal in combat power, however she didn't relish the thought, but rather feared it... feared what might happen to her and those around her if she stepped down that path.